Illegal gambling operators in mainland China are generating billions of dollars in revenues, it has been claimed. Global Betting and Gaming Consultants estimates China’s unregulated market for online gambling to have been worth $562.4m in gross gaming yield last year. Aside from the popular sports of football and basketball, Chinese gamblers are understood to favour live dealer casino games, such as baccarat and sic bo, that are enormously popular in Macau. Casino gambling is presently only legal in Macau, which is now the world’s single largest gaming market. There is some debate, however, over the presence of gaming machines in mainland China and the authorities’ attitude towards them. It is not possible to obtain a licence for internet gambling in China either, but the state lotteries have permitted mobile and online lottery sales. “If sports betting were to be permitted, with advertising allowed and the full range of bet types and local payment methods available, it would certainly be worth several billion dollars in revenues,” said Pilling. 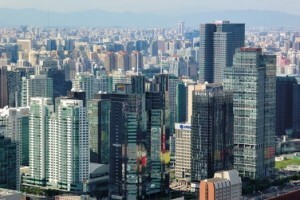 Gaming revenues in Macau increased by more than 22 per cent to MOP24.3bn ($3.04bn) in February, building on the MOP188.34bn recorded for the whole of 2011.